Getting patients to show up to doctor’s appointments in today’s high-tech world involves many more options than a simple refrigerator magnet or reminder card with the date scribbled in. 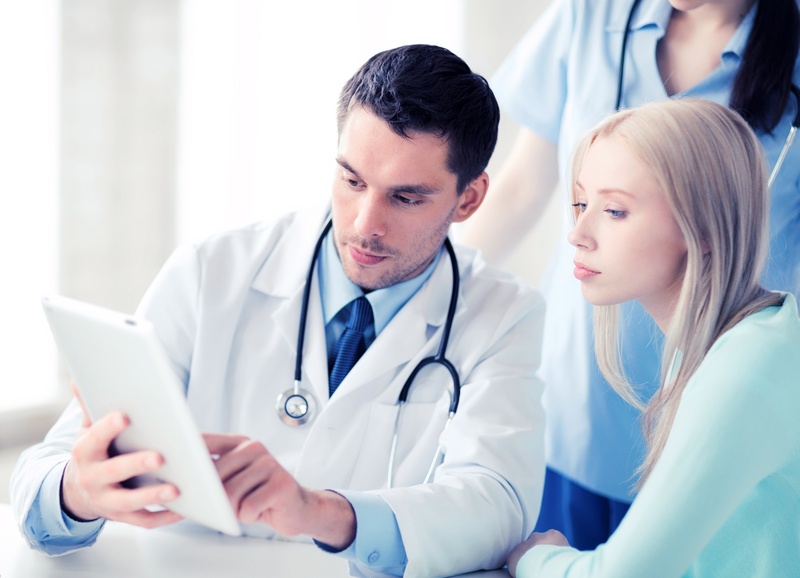 The best way to drive patient behavior change? Have patients show you the way. That’s just the tip of the iceberg. If a missed appointment then results in a patient’s condition worsening, that can have a ripple effect that can be costly for the hospital and, more importantly, the patient. That’s why appointment reminders isn’t a trivial topic. Reminders are the trench warfare of medicine. If you can win the battle here, you may just prevent a bigger one from breaking out somewhere else. Let’s break down the pros, cons and potential pitfalls of appointment reminders by email, texts, or phone — and then explore a better way. The younger a patient is, the less likely a phone call is going to be an effective appointment reminder. Fewer and fewer people use their phones to actually talk. Leave a voicemail message? It may not ever be listened to. And with the beast of telemarketing, number spoofing and general nuisance calls, your chances of getting through to a busy person with a phone call — whether it’s a Millennial or a Baby Boomer — are not very high. For older people, though, the chances of a phone call being effective increase. For patients who do prefer receiving appointment reminders by phone, we recommend automated calls using Interactive Voice Response (IVR) for reasons of privacy and convenience to the patient and doctor’s office. This is significantly more cost effective and less resource intensive than manual phone calls made by staff. Emails are often a better option than phone calls, but still not ideal for many patients. Emails can find their way into spam folders, get buried in sales pitches or just generally overlooked. Statistics about how often people check their email vary wildly, but even the most conservative have it at 44 percent of people check their email once a day. Still, there are specific patient types, or psychographic segments, that rely on email. Text messages are the gold standard for many patients. Consider this via Venturebeat: “People actually read text messages. In fact, more than 90 percent of people read a text message within the first three minutes of receiving it, according to MobileSQUARED, a mobile research firm.” For many of your patients, texts may be the single most effective way to remind them about appointments. Even in 2018, there are certain patients that appreciate printed, direct mail. While snail mail has an abysmal record for response rates, in general, it can be effective with certain psychographic segments who value this mode of communication. All of the above methods for communicating with patients involve some level of risk to privacy or that the patient won’t get the message. But using a digital patient engagement platform like PatientBond, which is HIPAA-compliant and uses a proprietary psychographic segmentation model to hone in on patient motivations and preferences, increases the likelihood that they’ll show up to appointments. PatientBond personalizes communications according to each patient’s psychographic profile to enhance receptivity and behavior activation. PatientBond also automates all the forms of communication described above, combines them in a segment-preferred mix and frequency, to amplify engagement. PatientBond reduced missed appointments 22 percent at a health system focused on Medicaid, Hispanic, rural and underserved populations. PatientBond offered both English and Spanish communications (email, text, voicemail) and adjusted based on patient preference. PatientBond increased revenues for this health system +$70,000 per month by reducing missed appointments significantly. The bottom line: You need to be prepared to deliver appointment reminders via phone, email and text to cater to the varying preferences of your patients. Let the patient choose their preferred communication platform, and PatientBond can do the rest. And you’ll stop losing sleep — and money — over missed patient appointments.